*Please Note: If you are creating your own Jelly Roll Rug, you will need TWO Katahdin Batting rolls to complete one rug. 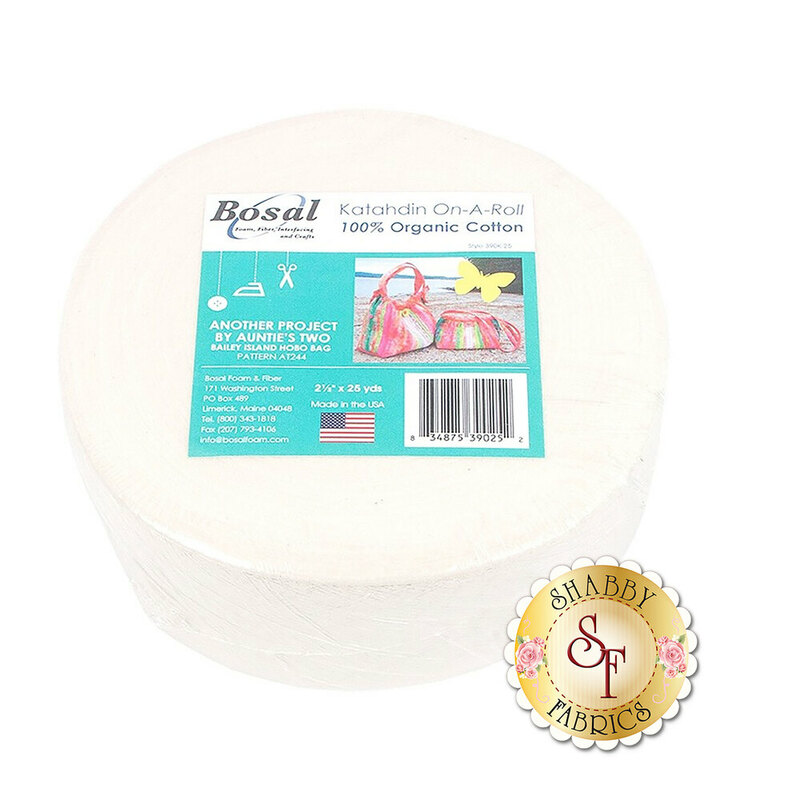 Katahdin On-A-Roll by Bosal is 100% organic cotton batting that does not require pre-shrinking. It is great for projects that call for 2 ½" strips of batting so that you don't have to cut it yourself! It is 100% natural with no scrims or resins, and measures 2 ½ inches x 25 yards.